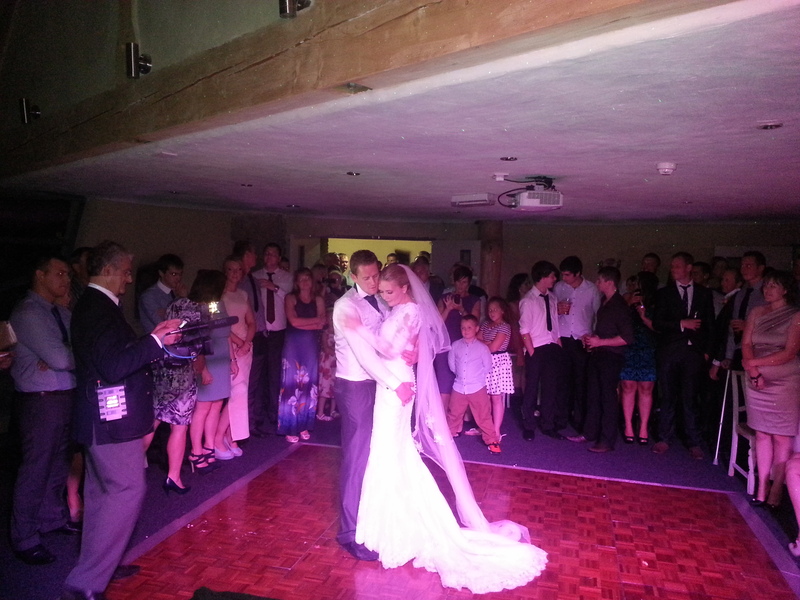 17th August ’13 – Played for Mr & Mrs Barker’s big day at Forrest Hills in Lancaster. They had booked me to play from 7pm till 12.30am at this new wedding venue. Interesting place! Forrest Hills is set in 180 acres of rural countryside on the verge of the Forrest of Bowland. The ‘eco’ venue features a large central atrium complete with a working water wheel! There is a function room off to the side where we set up the disco. Stacey & Robert are part of the local farming community & had some traditional games prior to the first dance which everyone got into the spirit of! Then I rounded guests up for their first dance which was performed to Christina perri ‘1000 years’. After the buffet & firework display, guests came back in the ‘disco’ room for the main party! Top night, the room & dance floor was pretty much packed through till after midnight. 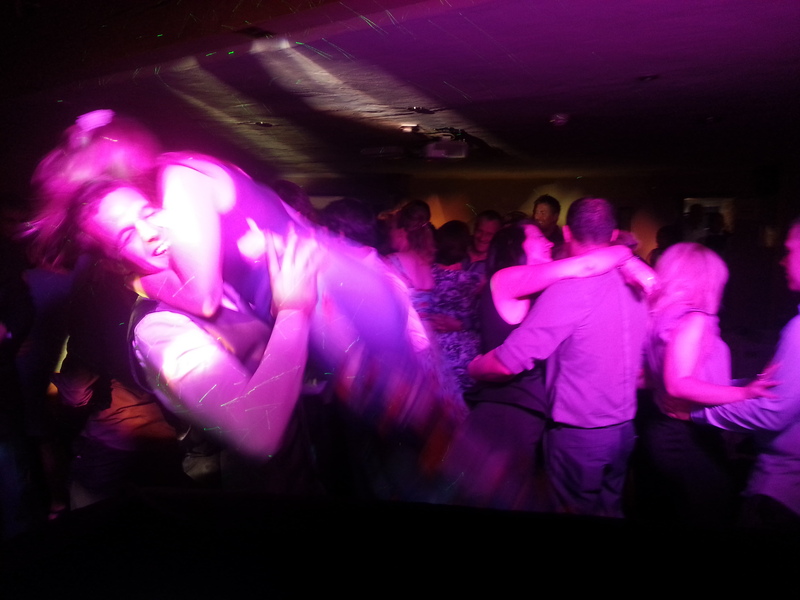 Attempting the Dirty Dancing lift! As a guide, expect to pay £250 for up to 5 hours playing time in Lancaster, any additional time is £30 per hour.